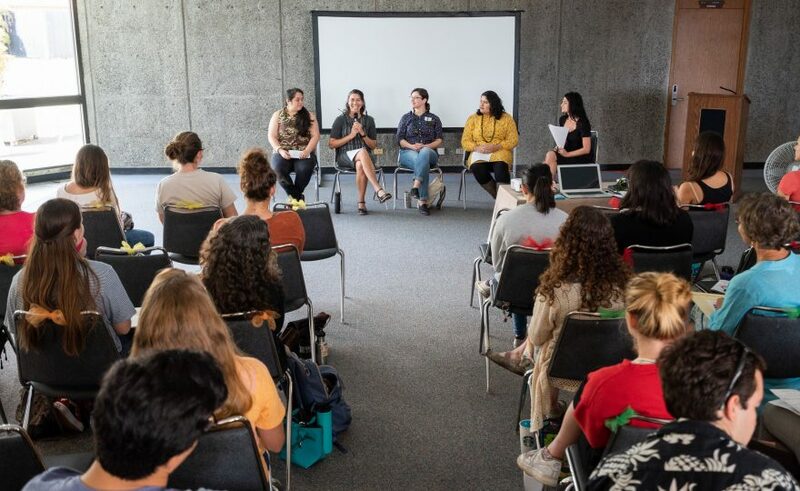 The inaugural event was planned by women students in the sciences, and the discussions were led by accomplished women scientists, administrators and staff who know a thing or two about the challenges women face in advancing their STEM careers. 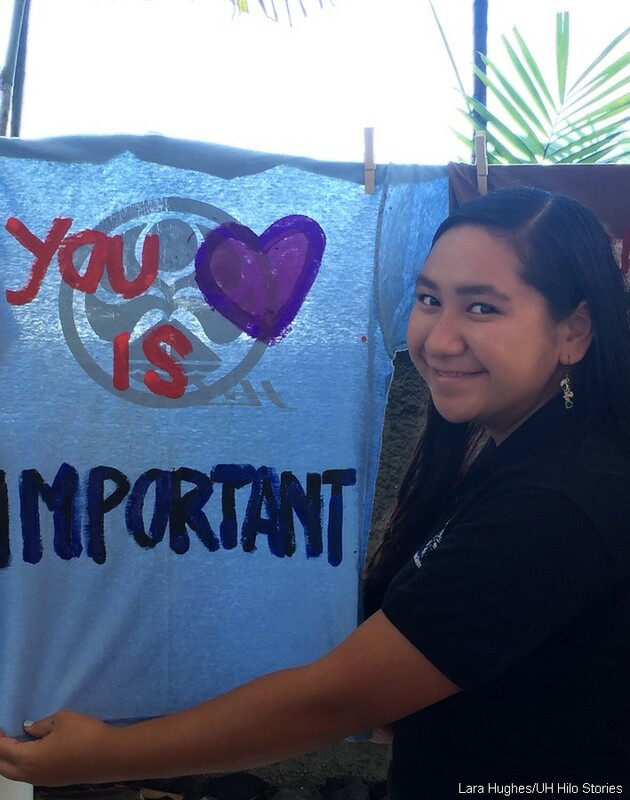 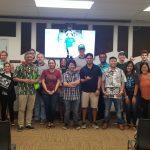 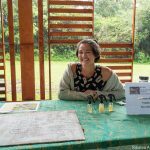 At the event, students and staff gathered at the UH Hilo Campus Center Plaza to paint t-shirts with meaningful messages in support of domestic violence victims and survivors. 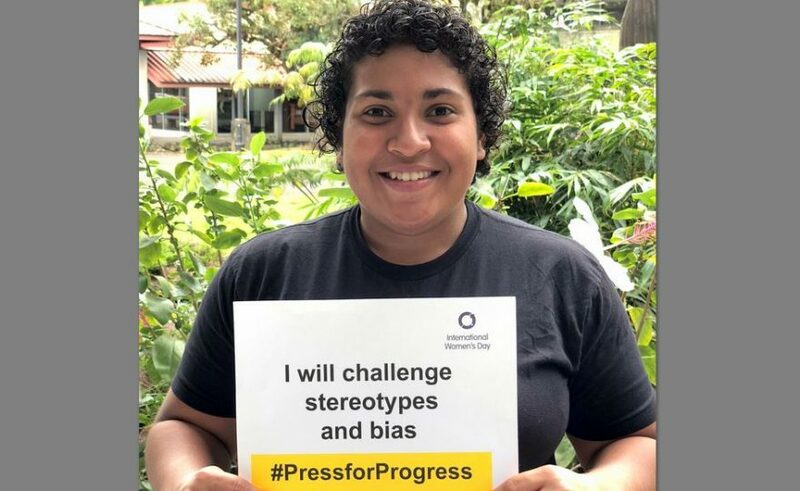 Photos help spread awareness and encourage students to be active participants in the fight against gender based oppression. 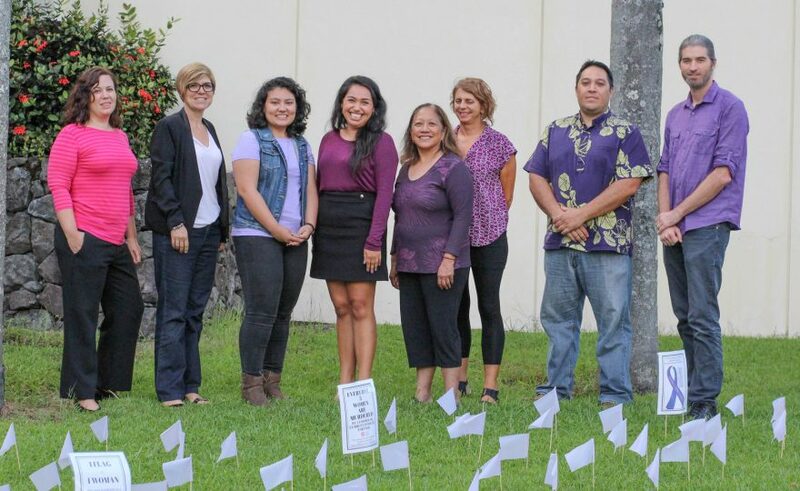 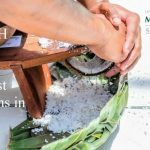 Domestic violence rates on Hawai‘i Island are twice the national average, making this problem even more detrimental to local communities. 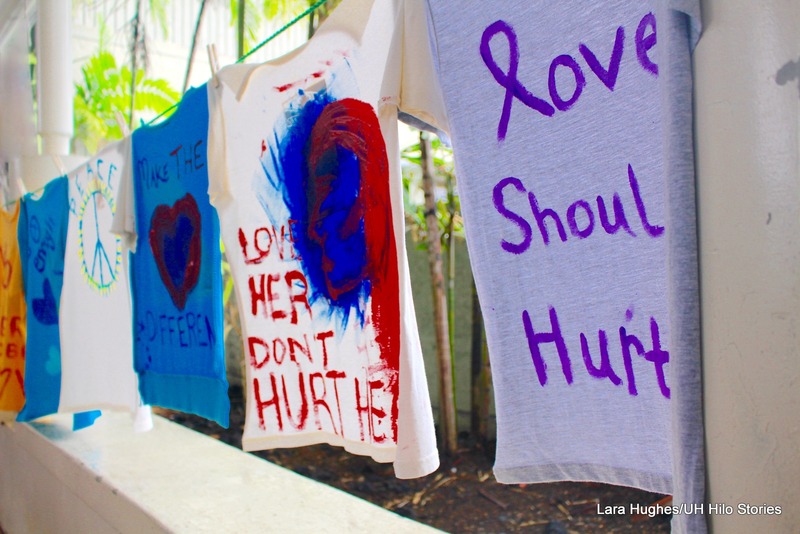 Participants in the event spent time at the Campus Center Plaza painting t-shirts with heartfelt and emotional words about domestic violence to raise awareness in the campus community. 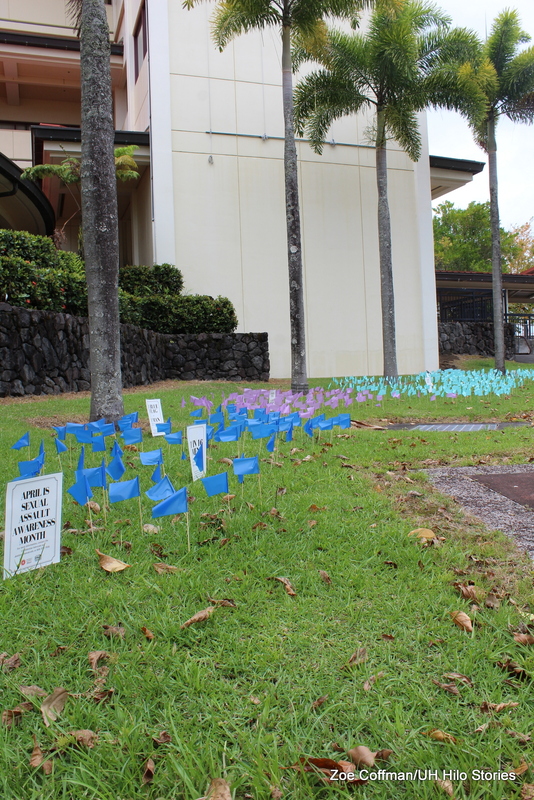 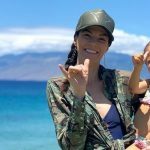 A flag display has been set up at UH Hilo to give viewers a visual of national assault statistics if applied to the UH Hilo student population. 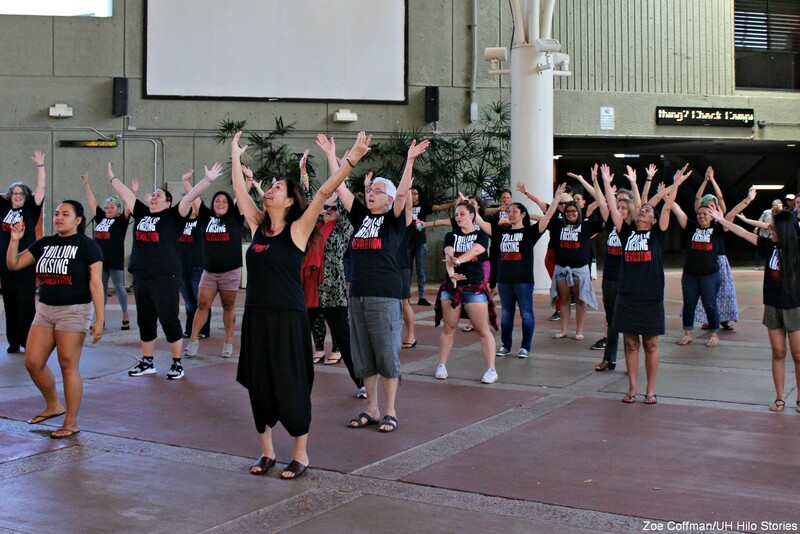 The Flash Mob Dance, done by groups around the world, is part of the The One Billion Rising (1BR) movement, the biggest mass action to end violence against women in human history. 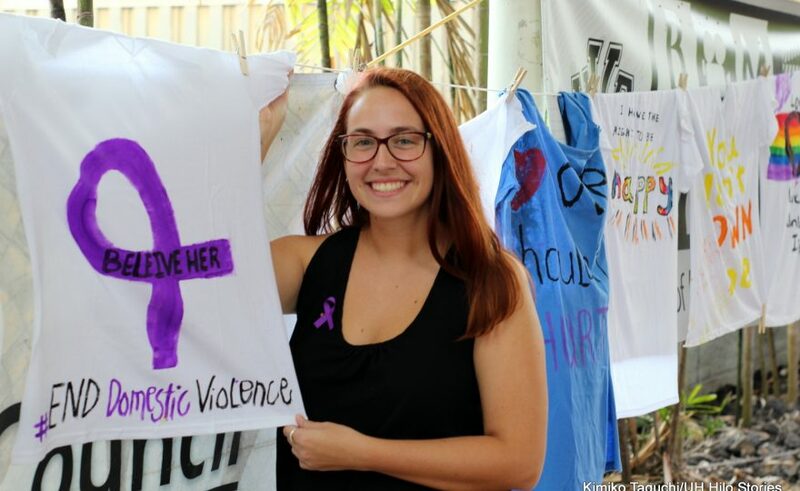 The public event encourages students to hand paint t-shirts with messages to heighten awareness and provide support for survivors and victims of violence against women. 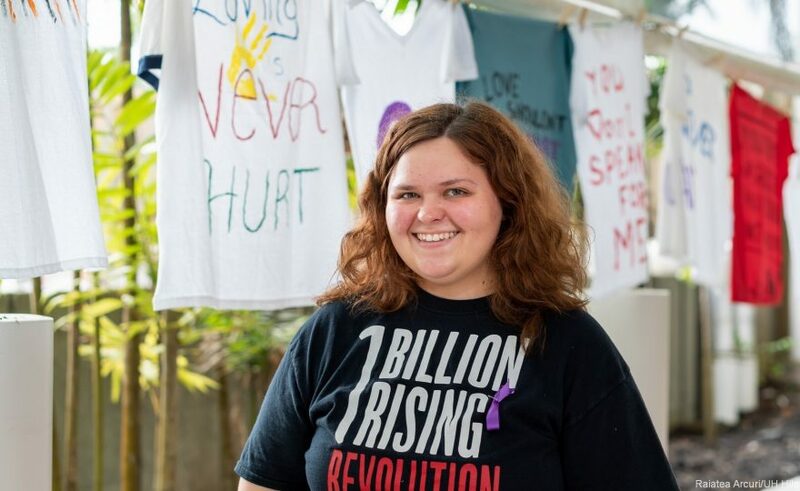 The painting of t-shirts provides a vehicle for women to express their emotions. 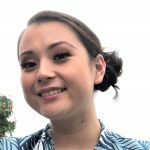 Student Tiana Wai describes mentoring as a meaningful opportunity for self-development and personal growth for both mentor and student.